On July 23, 2010, two members of the SCJ Philippine District: Bro. Phong Quoc Tran together with Bro. Joseph Quang Tran, and Bro. Nekkanti B. Show Reddy from the District of India made their final profession of vows in the congregation of the Priests of the Sacred Heart of Jesus. The celebration took place at the Dehon House in Quezon City. On the following day on July 24, 2010 Bro. Phong and Bro. Quang was ordained deacons. The ceremony, which was presided by the Most Rev. Antonio Tobias, DD – the Bishop of Novaliches, took place during the Holy Eucharist at San Lorenzo Ruiz Parish in Quezon City. Both celebrations were attended by SCJ confreres, friends and members of the families of the new deacons. Today, on March 19, 2010, on the Feast of St. Joseph, the Holy See has announced the good news regarding episcopal nomination of our SCJ confrere Rev. Fr. Vilsom Basso, scj. Fr. Vilsom Basso belongs to the SCJ Philippine District and until now was assigned as formator in Cagayan de Oro City and Pastor in charge in Dansolihon Chaplaincy. His new assignment will be as a bishop in diocese Caxias in Maranhão (Brazil). Fr. Vilsom Basso, scj was born on February 16, 1960 in Cinquentenário Tuparendi, in the diocese of Santo Ângelo, in the province of Rio Grande do Sul. 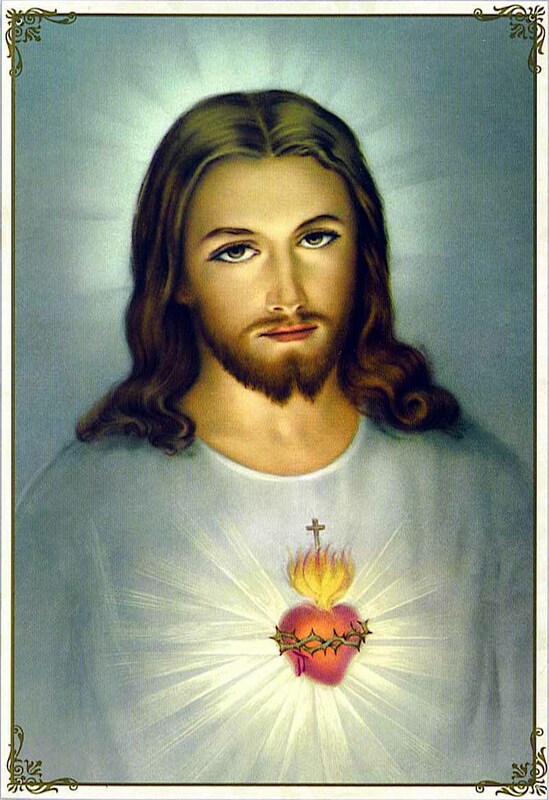 After his elementary studies in his native city, he entered the Congregation of the Priests of the Sacred Heart of Jesus (Dehonians). He received his title of Bachelor in Philosophy in Brusque (1979-1981) and one in theology in Taubaté (1982-1985). On 25 February 1985 he made the Final Profession in the Congregation of the Priests of the Sacred Heart and on December 28th 1985 he was ordained a priest. In 1991, he followed a postgraduate course in pastoral theology at the University Javeriana in Bogota, Colombia. In the Diocese of Viana, State of Maranhão, he was assigned as parochial vicar in the parish of “Santa Inês” (1986-1987) and Alto Alegre (1993) and as a Pastor of the Parish of “Santa Luzia” (1998-2003). In the Archdiocese of São Luís do Maranhão, he was a parochial vicar (1988-1992) and then the parish priest (2004-2005) of the Sanctuary “Nossa Senhora da Conceição”. In addition, he was coordinator of youth ministry in the State of Maranhão (1988-1992) and Councilor of the National Pastoral Youth of the Brazilian Bishops’ Conference (1994-1997). In 2006 he was assistant priest of the shrine “São Judas Tadeu” in São Paulo. Since 2007 he is one of the formators of the Congregation of the Sacred Heart of Jesus in Cagayan de Oro City, Philippines. On February 4 and 5, 2010, two SCJ deacons Rev. Marcial C. Aguirre and Rev. Donald S. Longno were ordained priests. The two separated celebrations were held in their home parishes in Kumalarang and Margosatubig respectively. In both cases the ordaining bishop was Most Rev. Emmanuel Cabajar, C.Ss.R, DD, the Bishop of Diocese of Pagadian. It is noteworthy that Kumalarang is an SCJ parish and Margosatubig, a former SCJ parish and in both of them it was already second ordination for the Congregation of the Priests of the Sacred Heart of Jesus. Both ordinations were attended by many SCJ’s, diocesan priests, religious from different congregations, friends and relatives of the newly ordained priests. Also, among the priests attending the celebration in Kumalarang was Fr. 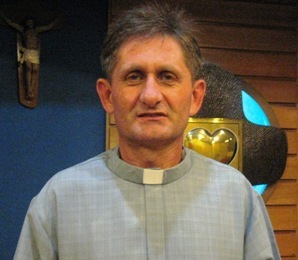 Mick Sinnott, a Columban priest, who last October 2009 was kidnapped and released after one month in captivity. Fr. Mick just returned to the Philippines and to Pagadian from where he was taken. On February 13 and 15, 2010, two more SCJ deacons Rev. Rechie C. Gier and Rev. Jigger C. Ganados will be also ordained priests, which will increase the number of Filipino SCJ priests to seven. So far, thanks be to God for his blessings and congratulations to the new priests. For more pictures please visit our Photo Gallery.